On Monday I awoke and thought this is going to be a good week. After all we have been through (My Dad Passed away) I really thought this was the week to get back to it. I got up went down stairs and picked up a cup. There was nothing in the cup. No lead weights just an empty cup. The pain that followed was the most horrific I think I have ever felt. It was like someone had stabbed me and was twisting the knife between my shoulder blades. Well that morning then went along the lines of panic, ambulance, gas and air, doctors, diazepam, sleep. Monday was a complete blur of drugs. So here is how I coped. Again I know this is super obvious but some people really struggle with it. I just didn’t let it bother me. And believe me they had a good go at destroying the playroom. I know this is super obvious, but omg it has been a life saver. 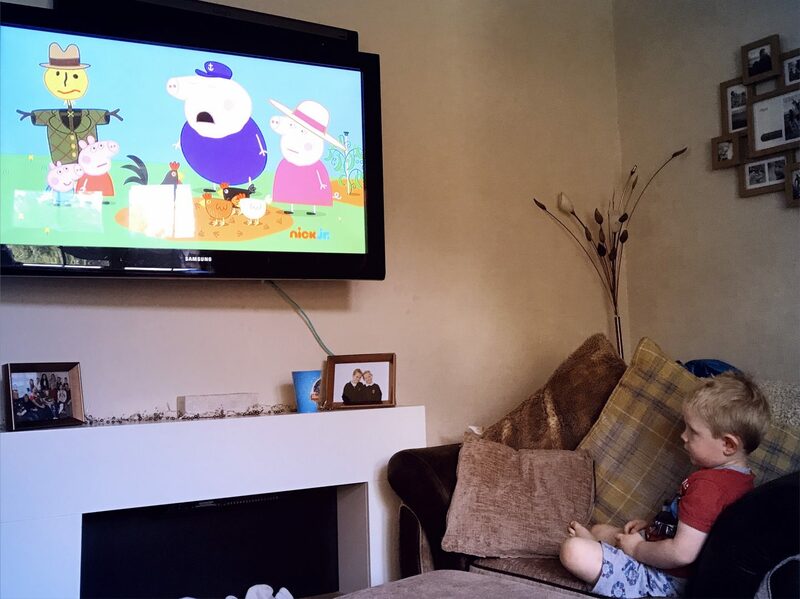 I even changed the channel so it was all new to us cartoons and it worked a treat. Gave me the chance to just sit. I had a meal plan this week. Typical haven’t done it in ages. I was determined to carry on with it. I did move the meals round though so we had chilly con carne instead of Enchiladas. And I didn’t get stressed about the mess. Our children have to ask for anything they have out the kitchen as I’m sure most do. 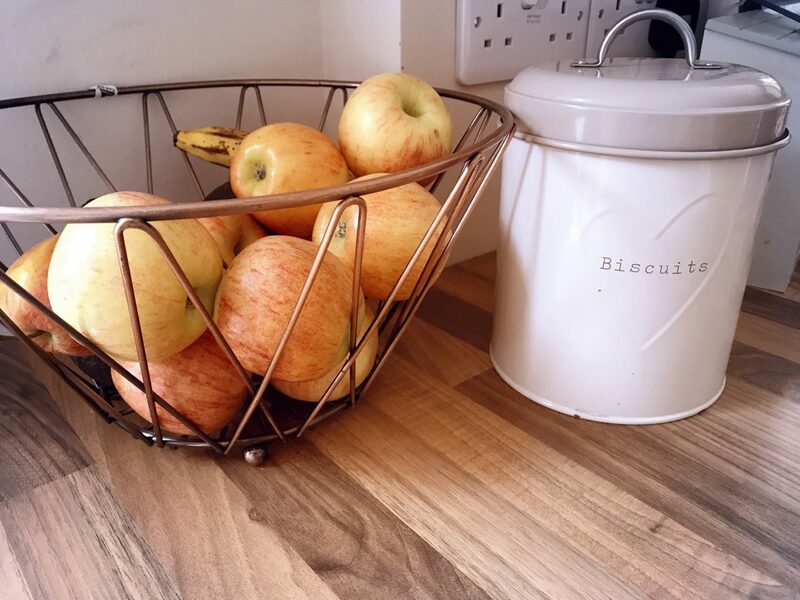 However we have always had the biscuit tin and fruit bowl out of reach just incase they have a binge or just pull bananas apart for the fun of it. I moved these and yes it helped so much. They still asked but they were then able to go get the orange bring it to me to peel then put the rubbish in the bin. All while i didn’t have to move. This is my biggest problem. I literally never ask for help with anything. However this time I just couldn’t do it on my own. I asked my wonderful sister and i was very lucky that she was able to help. I know that if i would of asked some of the moms at school they would have said yes as well. Also it is important to have people in your life that are able to help. Even if you don’t like talking on the school run, it really comes in handy making school mom friends. I’m feeling loads better now. I’m hoping that I really will get back on track. With everything including these blog posts as I have missed them so much. Also with life in general just getting more organised and in a good routine. My back aches but that i can work with and get on with it as us moms often just have to. 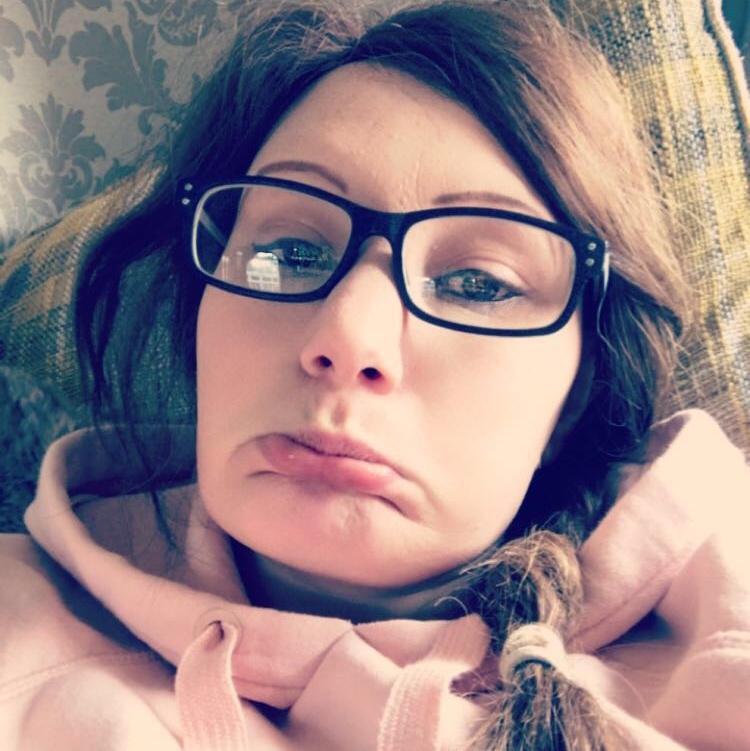 How Do you all cope when your ill? Do you have any tips incase it happens to me again? Previous Post When are You Having Your Next Baby?